A landmark album that is perhaps the single most influential beat source in hip hop! 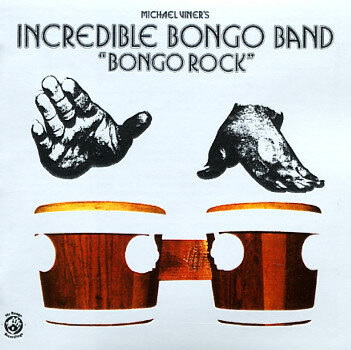 The record was the brainchild of bongo player Michael Viner – who also happened to be running the Pride subsidiary of MGM at the time. Viner's got a meeeeeean touch on the bongo, hitting it hard and funky like the best 70s conga players – and his approach to the instrument is kind of like a funky update of popular instrumental styles laid down on guitar by The Ventures or on moog by Hot Butter. This album features the classics "Apache" and "Bongo Rock" – both with monster funky breakdowns that showed up on a heck of a lot of hip hop records over the years – plus loads of other goodies like "Last Bongo In Belgium" and "Bongolia". Excellent stuff – and darn hard to find! (We can still remember how stunned we were when we found our first copy in a Canadian record store back in 1987 – and even then we had to pay plenty!) © 1996-2019, Dusty Groove, Inc.